Honey roasted almonds are a perfect gift for every occasion. We take our delicious roasted almonds and add a little sweetness to them! 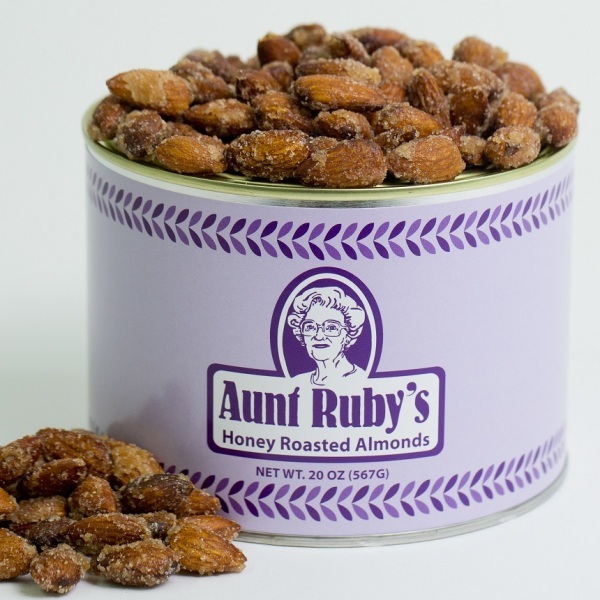 Aunt Ruby's Peanuts and all of her products are made from high-quality ingredients and only the finest nuts. That is one of the reasons why our Honey Roasted Almonds are such a hit. The best snacks are wholesome and without all of the additives. Another reason why we cannot keep these in stock is that our prices are affordable. The more you buy the more you save. That policy is good on most of our products and it is one reason that people stock up on our nuts. You can buy our Honey Roasted Almonds in 20-ounce single cans, packs of four, 12, and 20-20 ounce cans. Sweet Almonds make an outstanding snack for anyone who has to pack a lunch, wants to eat healthy, smart food, and for those people who want to add the healthy benefits of nuts to their diet. 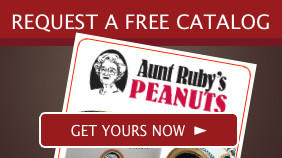 At Aunt Ruby's we offer a wide selection of nut products including North Carolina's finest peanuts, almonds, cashews, and pistachios. Mix and match and remember that these products do not stay in stock long. Buy now while supplies last!